It is interesting to see how progressive wind turbine manufacturers are modifying their airfoils in an effort to reduce noise. Check out these trailing edge serrations that are designed to reduce trailing noise if properly applied. 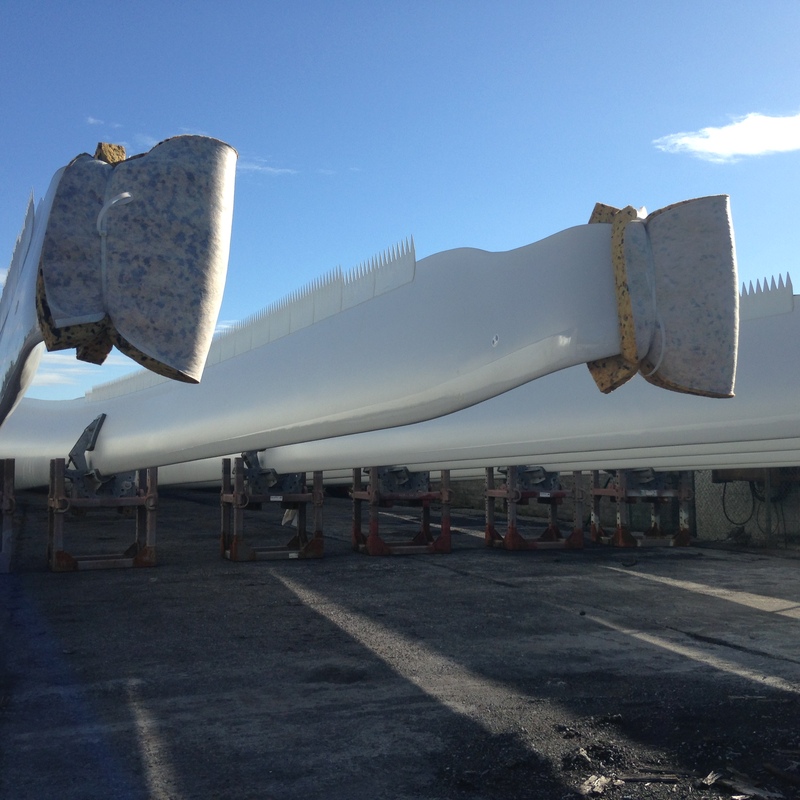 These are fitted as an add-on to existing wind turbine blades. Another interesting noise reducing feature is the blade tip shape. Not unlike the winglets we have become so familiar with in the aviation sector, these winglets help reduce tip vortices, both reducing tip noise and making the blades more efficient. 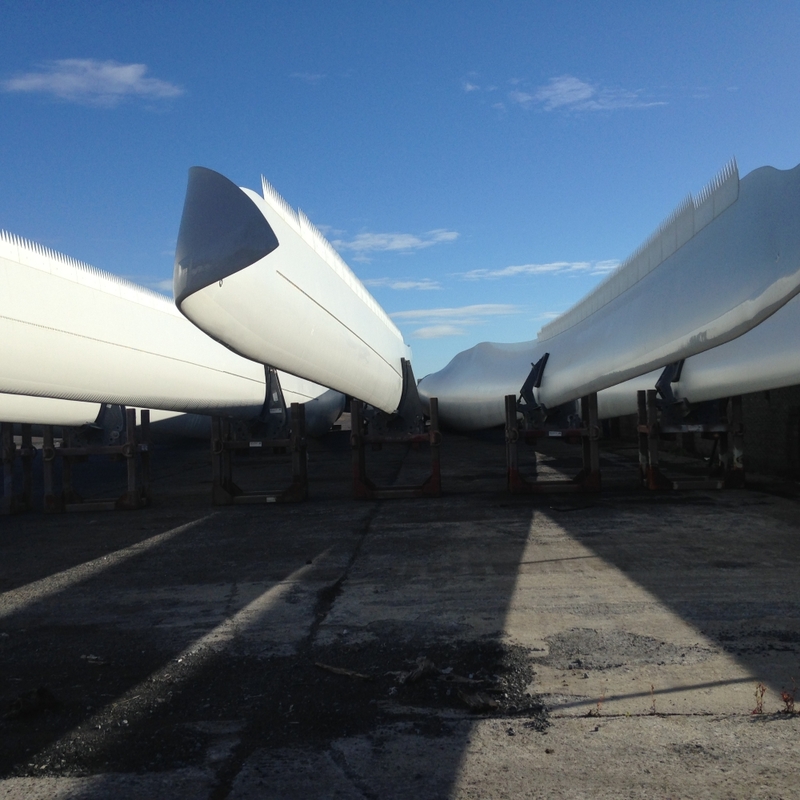 These turbine blades currently being shipped from Galway Harbour to a wind farm project in County Galway, Ireland. Well done to all involved and beautiful pieces of engineering.